What can I expect in working with you? This is a great question. I will answer this through self-reflection of my 28 years and from feedback of people who receive therapy from me. Authenticity is my expectation of myself to you and genuinely in the moment with you. To help you come to light with the meaning and solution to your presenting situation. I work diligently to understand your deeper meaning and purpose. You can expect an honest and genuine response to your life. I will bring 28 some years of experience in mental health and spiritual communities to the meeting. I also bring what’s expected from myself and others: a truthful and transparent attitude. I am not one for pretense or superficial responses. As a “Christian therapist” can you work with someone who does not prescribe or believe in that faith? Yes. I have had the privilege of working with hundreds, literally, of people in mental health institutions who do not prescribe to the “Christian” faith, and found effective common ground to help navigate through difficult emotional and psychological dilemmas. 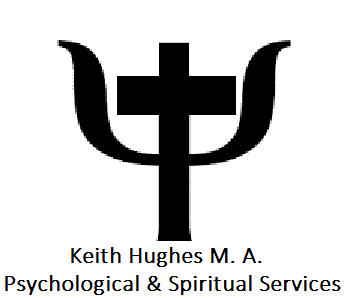 In my private practice I successfully work with people not looking for “Christian” counseling, but just effective help with their mental health, relationships or life situations. Why is counseling so expensive? Everyone has their own unique situation that requires its own timing of healing and resolve. Usually by the third session I/we will have a strong sense and plan about the actual time needed for counseling. Again, depending on the severity of the issues and how hard one works in the session helps shape the length of counseling. I have also experienced many times that after counseling ends, some find themselves in need of a “check in” months or years later. That is just how the journey of life and healing goes. How would you describe your counseling style? My “style” or approach to counseling has a few different approaches. I use what is called Cognitive Behavioral Therapy (CBT). We will address certain behaviors by drilling down to what feelings, thoughts and eventually what core beliefs existed that drove some of the unwanted behaviors. This is a basic explanation of how CBT works. You may also experience, besides intentfull listening, that my style steers you toward illumination of a new perspective one that may illuminate a new perspective on how you see your life; helping you reframe a thought, experience or situation. My style at times lends itself to being a coach of all sorts as pertains to life transitions, parenting teens, and spiritual growth. How do you incorporate Spirituality or “Faith” in your counseling? For some this is an essential question and I understand usually where this question comes from. Most people seeking “Christian counseling” are hoping that the help they receive is based on “biblical truths/principles”. My biblical training and study deeply shapes how I approach helping people navigate through marriage, feelings of guilt, sadness, forgiveness etc. You may at times experience subtle biblical truths presented in session, or pointed reference to scripture, maybe even homework that requires bible study, prayer or service. I do not believe in what some prescribe to a “magic Jesus” (where He takes spontaneously away your problems) but is a God who instead helps get through ones problems with ‘wise’ counsel. It is my desire to bring wisdom and perspective through my 28 plus years in mental health and ministry. How do I know you are the right therapist? This is the most important question of all. If you’re a parent looking to find a therapist for your child and family, the right fit is your first priority. Someone you and your child can trust is essential and the only way we will know this for sure is to come in for a visit. I offer free in-person 30 minute consultations.. However, if a consultation isn’t an option, then your best bet is to schedule an initial session. Once we begin working together, it will quickly become apparent if it is the right fit or if we need to find another option. There is good data to suggest that the strength of the therapeutic relationship (the “fit”) by the end of the third session is a strong indicator of successful client outcome. If we start working together and later find out that it is not the right fit, I will help you find someone who is a better option.